Should I spend that much money on a door? “How much do carriage doors cost? The real kind that swing out.” We get a lot of inquiries that basically consist of that one question. 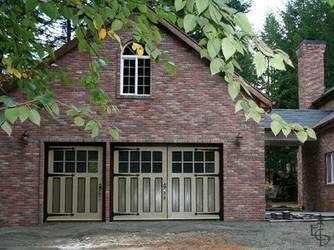 “I have to have out-swing doors because I want to use the garage for my yoga studio. …or my jewelry workshop. …or my family game room.” People have dreams of using their talents and passions, and carving out space to make their lifestyle fit their values. You may be losing more by not getting carriage doors. How much is your life worth? What do you stand to gain if you let go of that leased loft downtown and start creating art in your own place? The monthly rent. The commuting costs. Time with your near-and-dear ones. The dollars saved can add up, while you are also enjoying more of life lived the way you value it. 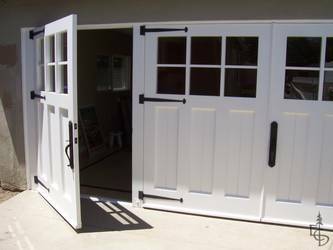 How much do carriage doors cost? 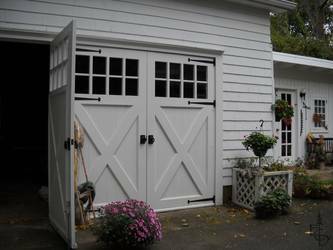 Consider the value of what carriage doors can do for your lifestyle. Ask yourself how much will not getting them cost?